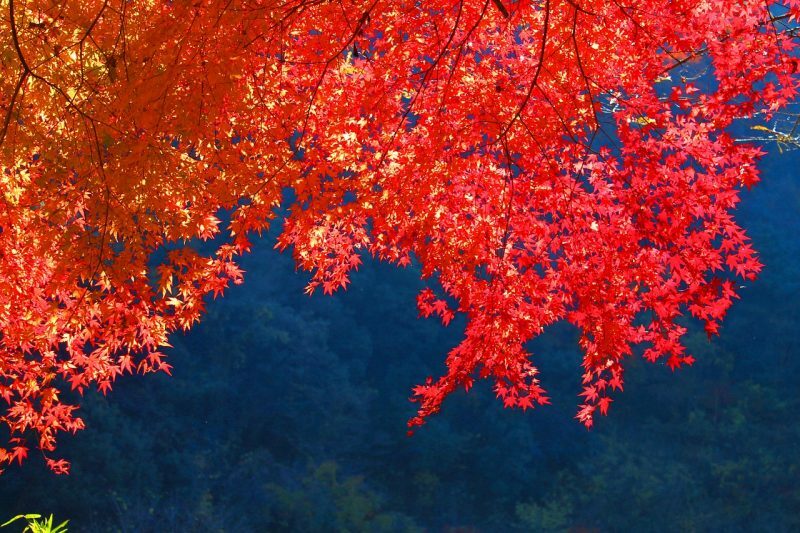 In Japan, the natural phenomenon is called koyo or momiji (meaning red leaf). The activity of searching for the most striking shades of leaf is known as Momigari (red leaf hunting) It has been popular in Japan for centuries and is now a major draw for tourists. When is the best time to experience fall in Japan? What are the best viewing locations? This handy guide is designed to help you plan the perfect momijigari vacation. The tradition of momijigari has been popular since the Heian period (794-1195) and it has had a profound influence on Japanese culture. For Buddhists, it’s a moment which is important both spiritually and symbolically as it reminds us that life is ephemeral. The maple leaf symbolizes fall in Japanese culture and its use is widespread. Momigari features heavily In eighth-century Manyoshu poetry as well as the classical Heian Period novel ‘The Tale of the Genji’. It’s typical to find screens, dishes, kimonos, and other fabrics bearing the symbol of the maple leaf. Maple-shaped cakes are typical during the fall and the leaves themselves are often eaten as tempura: a delicious, deep-fried, sweet snack. There are various variations of maple leaf tempura throughout the country and they are often accompanied by a cup of Japanese tea. ‘Scatter autumn leaves’ means to go red-faced with embarrassment. ‘Hands like tiny maple leaves’ is used to describe the small hands of babies. ‘Like maple leaves and a deer’ means that two things make a great pair. Witnessing koyo is a moment of the year which the Japanese spend time anticipating and looking forward to. It’s not just tourists who agonize over the best times and places to see the fantastic colors. There is no shortage of stunning places to enjoy the phenomenon through the best days to see it vary from place to place and from year to year. The momigari can be enjoyed in many ways including hikes, picnics, drives, bike rides and camping trips. Many regions peak in November but some areas can start changing as early as September or as late as December. The type of maple tree determines whether the leaves are red (koyo), yellow (oyo), or brown (katsuyo). The turning of the leaves in Japan varies due to temperature, elevation, and latitude. What does this mean for you? Mountainous regions and the islands to the north will experience autumn colors earlier than other regions. You should also take note of autumn color reports such as this one, as well as weather forecasts, as these will keep you up to date on fall color changes due to temperature. When temperatures turn cold early, the Japanese fall colors appear sooner – up to several weeks early – and vice versa. In general, the autumn foliage season begins in mid-September on the island of Hokkaido, the northernmost island. In other parts of Japan, like Tokyo and Kyoto the best viewing times typically range from mid-October through early December. Peak viewing in each area typically lasts between two weeks to more than one month. The best places to see autumn colors will largely depend on when you travel. Check the forecast below for information on when different regions reach peak viewing season. The fact is, any place in Japan is a good area for koyo viewing. If you are feeling adventurous, consider hiking the meandering trails of one of Japan’s mountains. Even if you are visiting a bustling city such as Tokyo, city parks offer thousands of trees. Another option is simply looking out the window while traveling by train. Likely, you already plan to travel from place to place using your Japan Rail Pass. Between stations, you will see the local countryside in all its autumn glory. For a truly unique koyo experience at a relaxed pace, consider a ride on the Sagano Scenic Railway. The following dates are estimates based on average best viewing times from previous years and can be helpful in timing your vacation. Check this report often for further updates to the fall colors 2018 forecast. Last update (Oct 17 / 2018): According to the latest forecasts, in 2018 the peak to appreciate the colors of koyo in the North of Japan will arrive between mid-October and late-November, in the East during the late November and in the west, earlier than average, from late November. 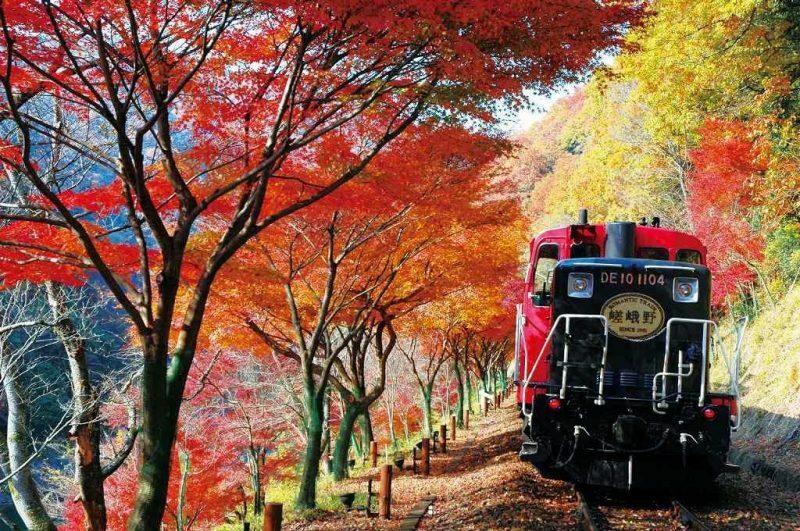 Experiencing fall in Japan is nothing short of unforgettable. Don’t forget to acquire your JR Pass in order to travel between viewing locations in a simple, efficient, and affordable manner. Book this seasonal tour (only available in November) and fully appreciate the beautiful leaves changing in the fall. 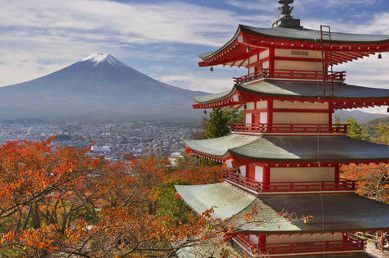 This day trip from Tokyo will take you to see the breathtaking autumnal landscapes and Mount Fuji. Fully enjoy the beautiful season of “Momiji” (Momiji means autumn leaves in Japanese) in Tokyo. The most comfortable way to admire the best of Tokyo during the fall without missing the best places to admire the beautiful color of the leaves. On this tour we will visit the areas of Arashiyama and Sagano, famous for their beauty during the autumnal season, and also less crowded places known only by locals. I plan to visit Japan on Sept 28 to October 5th. Will the autumn season start ? Hi Rin! It is too early to know what will happen in 2019 season 😉 please come back when dates are closer, we will make sure to update the information. Happy travels! When are you going to publish the next update? Will be in Takayama/Kanazawa in last week of November and in Kyoto/Osaka in first week of December. Hopefully to see the town in RED. Hi Tiong! According the forecast both regions are expected to be in their best viewing dates in late November, it looks like you will be lucky 😉 Happy travels! Thank you so much for providing this information – it is really helpful! I am planning to travel to Japan from December 16-December 25. This year (2018), would I be able to see autumn leaves in some parts of Japan around that time? 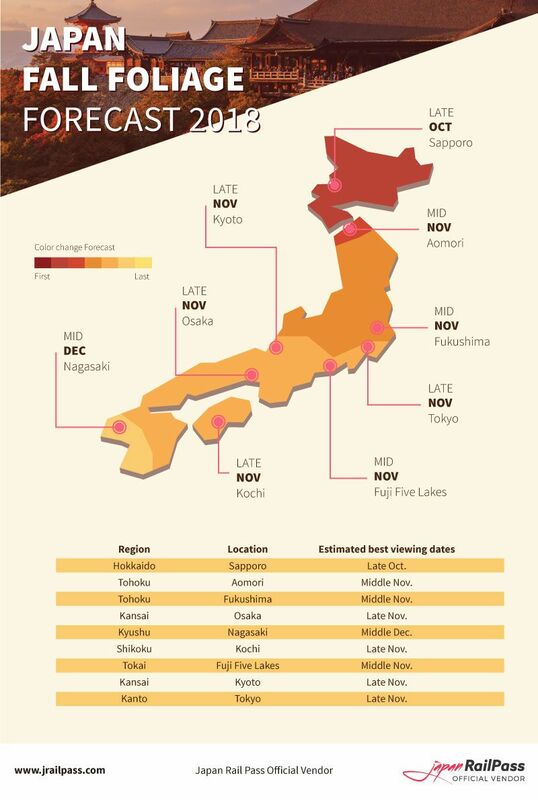 According to our data, for mid-December you would have to travel to the Kyushu region (Fukuoka, Nagasaki) for the best viewing of the autumn leaves. Sadly, they’d probably have fallen around that time in most of the country. Planning to visit Nikko during 26th October 2018 to 29th. Will it be at its peak? Thank you. Hi KB Foung! Please check our forecast above, we keep it updated with main Japan locations. Happy travels! I plan to be in the Hakone/Fuji Five Lakes area from 10/31-11/2/18. Is this too early for the fall foliage this year? If it’s just the beginning does this mean that only certain leaves will be turning color? Hi William! 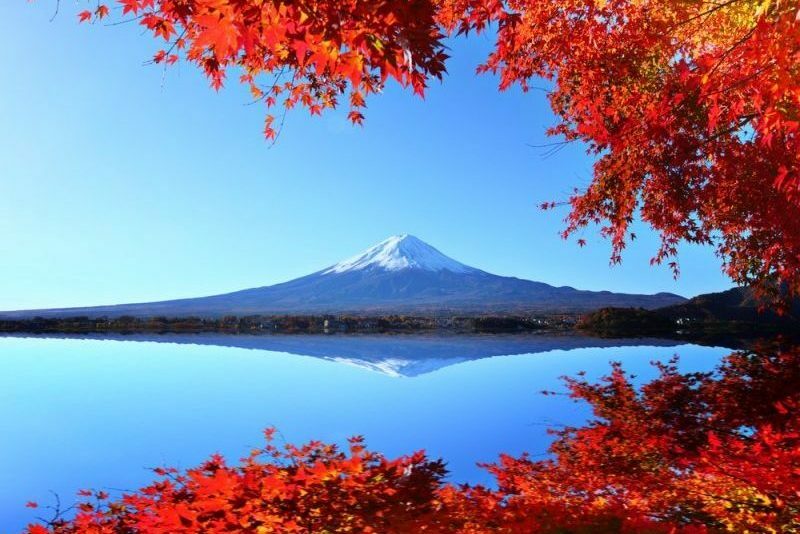 Estimated best viewing in Fuji Five Lakes is extected to be between early November and early December. Check this report often for further updates to the fall colors 2018 forecast! Happy travels! Thanks for this, and also. I was planning in going to Aomori on november 10th to the Nakano momiji mountain, is it a good moment? Hello José! As you will see in the forecast, estimated best viewing in Aomori is Mid November – Late November. Happy travels! We’ve booked tickets for Fujikawaguchiko around the 4th to 6th of November, and Kansai region from 6-12th November. Do you reckon we’ll be able to see the autumn leaves around the Momiji tunnel and Arashiyama during that time? I haven’t seen any update for 2018 so far. In the Japan Fall Foilage Forecast 2018 map, you put “Mid Nov to Early Nov” for Tokyo. You might want to change that. Also, thank you for providing this information. We will be traveling during the first two weeks of October. Could you recommend a route/.region? Hi Henry! We recommend you to check our recommended itineraries in this case. 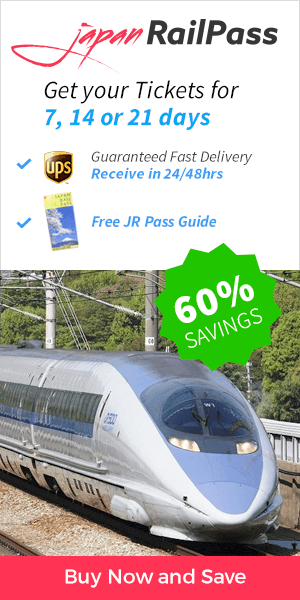 Our team has worked hard on them to make the most out of your trip with your Japan Rail Pass! Happy travels! I’m Alice from Italy. I’m planning my trip to Japan and I will be in Tokyo, Kyoto, Nara and Osaka from November 23 to December 3. Can I see the autumn colors during this period? Yes, you probably will! As you can see in our infography above, late November is a great time to see the autumn leaves in the Tokyo and Kyoto areas. Meantime we change our itinerary and we’ll be at Tokyo, Kyoto, Nara from 22 November to 2 December. We deleted Osaka, but we don’t know where to go for the remaining two days before going back to Tokyo. We would like Kanazawa / Shirakawa-Go or Nikko. What place do you recommend between these during this period? Hello! I will be in Japan from Sept 10- Oct 1. Will I be able to catch any of the autumn colors? Is it worth the trip up to Hokkaido? Hi Tiffany! Daisetsuzan National Park (Hokkaido) would be, according to the forecast, the only region in its estimated best viewing time during your trip. Daisetsuzan boasts being the first location to receive koyo in Japan, yet it is seldom frequented by tourists. The park is also home to volcanoes, lakes, mountain, and hot springs. Will on 3 November 2018 have direct NEX train from Narita airport to Kawaguchiko? The Narita Express will only run to Kawaguchiko until september 30, according to Fujikyu Railway: http://e.fujikyu-railway.jp/jr_train/nex_2018.php. However, you still can reach Kawaguchiko with other trains included in the JR Pass. Please check our Hakone and Mount Fuji guides for further information, and Hyperdia for timetables. Hi, I have booked my flight to Osaka from 5th Nov to 8th Nov. This is my third time to the region and this time we are hoping to see KOYO if we hit any luck. What will be the best bet of places to visit during the time, Osaka, Kyoto, Nara, Wakayama? We are open to suggestions. With the warm weather lately in Japan do we have any past experience whether that will shift the timescale of fall foliage or not? I really hope we can see beautiful Japan in autumn colours. Any advice on where to visit for best koyo with the time frame and location we are in? Thanks. Hi, any recommendation for visiting koyo with the time frame we have got? Hi Cheney! In this article you can find the first updates of the forecast. We recommend you to check in detail. Happy travels! I am planning of doing simple trekking in Kamikochi on November 9 or 10. I would like to see the beauty of the alps. Is it okay to visit the said place during that time? Is it still magnificent? Or do I have to drop this plan? Do you have any alternative? Hi El! In this article you can see the forecast. As stated, the estimated best viewing time for fall folliage in Kamikochi is early to mid October. I will be at Fujigoko on 26 and 27 october/2018. This area is considered “Mont Fuji” ? In this case, would have better visualization koyo at Nikko late octobre ? Hi Thelma! Fujigoko stands for Fuji Five Lakes which is within the Mount Fuji/Hakone area. For a more specific and accurate forecast please wait until fall is closer. Hi! planning to visit Nagoya and its surrounding areas including Kenrouken Garden, Kanazawa, Gokayama and Gujo-Hachiman. When’s the best time to see autumn leaves in that area? I am trying to decide whether end Oct or end Nov? Hi Catherine! For this year’s forecast we still have to wait. Last year, in southern-central Japan (Tokyo-Nagoya-Kyoto), the best time to see the autumn was around from next November 13th to December 1st. Hi, I plan to visit Sapporo from Oct 14-21. Would that be a good time to see the autumn colors or should I go a week later? Hi Gloria! 2018 fall foliage forecast has not been released yet. As soon as first details are disclosed they will be updated in this article so please make sure you visit it. Hi,planning to visit kamakura this weekend.will there be fall colour? It is estimated to be good – best viewing should be from mid November to early December. Hi, i’m going to Tokyo and Kyoto next week from 13 to 24 November. Please recommend me some waterfalls and ropeway in the region with good autumn view. I will be travelling between Tokyo, Osaka, Kyoto, Nara, Nagoya and Kobe. Located near Tokyo in the Kanto region, Nikko is among Japan’s most popular destinations. It is a UNESCO World Heritage Site, home to historic shrines—including Toshogu, the most decorated shrine in Japan—and natural wonders such as onsen and waterfalls. This park makes a good day trip or overnight trip from Tokyo. Hi, I will be in Otsu,Shiga on Dec2-5. Where is the best place to see colored momiji aside from Kyoto and Osaka? I want to stay in Shiga most of the time. In this article you are reading you get to see the estimated best fall foliage viewing in each area of Japan. According the last update of the forecast, in southern-central Japan the best time to see the autumn leaves should be from next Monday November 13th to December 1st. We recommend you to come back check this article since we keep updating it with the latest available information. We are set to go to Kyoto/Osaka on Nov 13. Are the leaves turned to yellow/orange by that time? The best viewing days always depend on nature – the best we can do is providing you the best forecast 🙂 In Kyoto the best viewing times typically range from mid-October through early December so you might get to see the city parks at its full fall colors. However, Osaka’s best estimated viewing is Mid November to Early December. We strongly recommend you to keep visiting this article since it gets updated with the latest available information. Hello, I am coming to Japan between 7th to 13th November. Can you kindly devise which are the places to experience best fall foliage? I am thinking of going Hakone, Nikko, Nara or Kyoto but not too sure which one are a better place to go during this period and what type of JR line should I buy for the location you recommended. Many thanks for your advise. In this article you are reading you will find all available details regarding fall foliage in Japan. The best places to see autumn colors will largely depend on when you travel. We recommend you to carefuly check this forecast for information on when different regions reach peak viewing season. Keep in mind this article’s information will be updated with the lateast available information so please make sure you read it more than once! The most adequate pass will be entirely based on the itinerary. Thank you for this article? Where is the best foliage viewing on Oct 27-28 near Tokyo? Thank you. You can find them all in this article. Please check locations that are expected to be at its best viewing in late October. We recommend you to keep an eye in this article since it gets constantly updated with the latest news. I will be in Kyoto Nov 24-26. Any chance of seeing peak autumn foliage then? Or is it going to be beyond peak during that time? 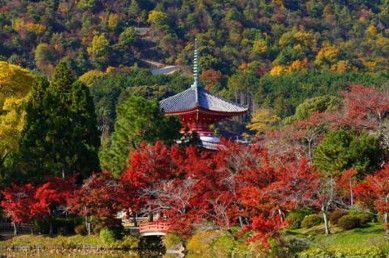 As you can see in this article, the estimated best viewing of the fall folliage in Kyoto is from mid November to early December. However please come back to check this article before your trip since we keep updating it with latest information. Hello i will be visiting japan in the first week of november and would love a recommendation for a good place to see the autumn leaves in that period (hopefully not too far from a major airport as it will be a short trip). Also would be great if it were close to some nice onsens! In this article you are reading you have our best recommendations for seeing the fall foliage in Japan! We recommend you to check it weekly since as soon as more information appears this article is updated. Hi, i will be visiting Tokyo, Kyoto and Osaka from 21 – 29 oct..
Do you think i will be able to see Autumn colours since the forecast is around mid nov? You can feel the autumn atmosphere in different places from Mid October to Early December except Hokkaido region. Though some part of Kanto and Chubu regions provide plenty of incredible fall colors in early October. I will be going Hokkaido on 15 oct to 23 oct. Is the autumn foliage already started there now? Or during the week I reach ? Really hope we can see it the time we arrive. As usual, the fall foliage is expected to be seen in mid September. Don´t miss any update of our Fall Foliage Forecast for 2017. Based on this forecast the best time to see colorful fall foliage in Hokkaido is between early to mid October. If you arrive in Hokkaido on the given time then I must say you will nailed it! Now get ready to explore the best fall foliage trips in Hokkaido. I will be visiting Osaka, Kyoto & Nara from 4 -12 Nov with Hong Kong relatives. Can we see Autumn colours in Japan? In comparison with the fall colors of Kyoto or Tokyo, Osaka seems a less popular destination. 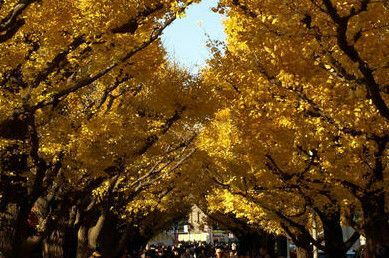 However, Minoo Park, Osaka Castle Park, Midosuji Avenue and Kanshinji Temple are the best points to see the autumn leaves there. The best time to view autumn foliage in Osaka is from early-November to late-November. If you visit Osaka in mid-November you expect to experience the peak season. Nara is stunning all year round, but in the autumn, nature decorates it with vibrant colors. To experience magnificent fall colors in Nara you have got to come there on time, between late-November to early-December. And kyoto… Kyoto is a heaven of autumn colors. Listed here are our favorites 10 spots to see autumn leaves in Japan. Would you like to visit more than one location? Doing so is easy and affordable when you travel by train using your Japan Rail Pass. Hi! Thank you for this article! Your update on 9/29 mentions that with above average temperatures the autumn leaves have not quite changed yet. Does this also affect the red Miharashi no Oka in Hitachi Seaside Park? Will it change in November instead? What about the leaves in Nikko? Will that also be later in November? I plan to be in Japan Nov 17-24 so I’m hoping to catch these areas! For the red Miharashi no Oka in Hitachi Seaside Park, we wouldn´t say it will last until November since the peak period goes from mid-September to mid-October. So, even if this year the autumn colors come later, November may be to late for the viewing. The coloring season in Nikko is long because of the wide range in elevation from the mountains of the Okunikko region to the Nikko town area down in the valley. The colors usually first arrive in the high elevations of Okunikko around early October, reach Lake Chuzenji in mid October and the Irohazaka Winding Road in late October before descending to the town of Nikko in early November. Note that the best colors are found in the Okunikko region, while the town area of Nikko is dominated by evergreen trees and does not offer too many colors. Hi, I am going to Kamikochi and Karuizawa on 21st & 22nd Oct, do you think I can see autumn leaves there? And will it be peak period? Karuizawa’s autumn begins a little earlier than Tokyo’s, and every year the highlight of the season is in October, when visitors can fully enjoy the beauty of Karuizawa’s nature. In case of Kamikochi, particularly beautiful during the autumn foliage season, the peak period is usually in mid October. Therefore, you will be able to enjoy autumn colors spots in the area while you are in Japan. My family and I will be in Tokyo end of Oct to early Nov this year. Which specific places in Tokyo would you recommend if we were to try to see some autumn foliage (assuming they’d be there already)? Thank you! Please check our article on where to see the autumn leaves in Japan. You’ll find details about Ueno Park, Meiji-Jingu Gaien Park and Rikugi Garden in Tokyo. I am Yen from Ho Chi Minh. I wonder which week in Oct, Nov, Dec to see beautiful autumn (yellow and red leaf)? Been to Tokyo, Osaka, Kyoto for cherry blossoms last year and still love to see another beauty of Japan. I like to see something new or I dont mind to see same place before. Is there any chance that I can see snow in the north of Japan same time this time? Thanks for your helpful advise. In general, the autumn foliage season begins in mid-September on the island of Hokkaido, the northernmost island. In other parts of Japan, like Tokyo and Kyoto, the best viewing times typically range from mid-October through early December. We recommend you to check this forecast to help you decide on which month to visit Japan depending on the region you want to visit. Snow season in Japan goes from mid-December until late March so if you wish to see snow you might want to travel on December. hi there! i’m heading to sapporo mid sep to end sep. do you think i stand a chance to catch any autumn foilage? According to past years’ experience, the estimated best viewing for the fall foliage in Sapporo would be from mid October to late October. However we recommend you to follow closely this article as it will be updated with the latest forecasts available. Planning to do a mini honeymoon in Hokkaido October 24-27. Will we expect to see koyou fall colors in furano, biei, asahikawa, daisetuzan? Is there a map link I can find updates to the forecast? In general, the autumn foliage season begins in mid-September on the island of Hokkaido, the northernmost island. Usually the estimated best viewing dates are between Late September and Late October based on average from previous years. This article will be updated with 2017’s forecast so don’t forget to review it weekly! I have a question, when is the best ideal time to go to Aomori – Hirosaki Castle to view the Autumn colors? October 24 or 30th? Mid to late October should be the best time so both should be good times, but it’s hard to say yet. Please check back this forecast for further information! Regarding your best viewing windows, does that mean that if I go to say Kyoto before the middle of November, that there won’t be any leaves? Or just not as good as if I went in mid-November? That’s the estimated best viewing, but you may actually see the red autumn leaves before mid-November. Please check back this article for future updates. Thank you for your good article. Would you please advise in more specific time, if it said autumn from mid November to early December. Does it mean from 15 November to … December ( usually what date that refer to ‘early’? I am sorry to ask you this, but I real want to see momiji gari in Tokyo, kyoto, osaka this year. Early December usually means the first week. However, depending on the weather it can mean the first two weeks of December. We advise you check our weather-forecast back in October for more details.